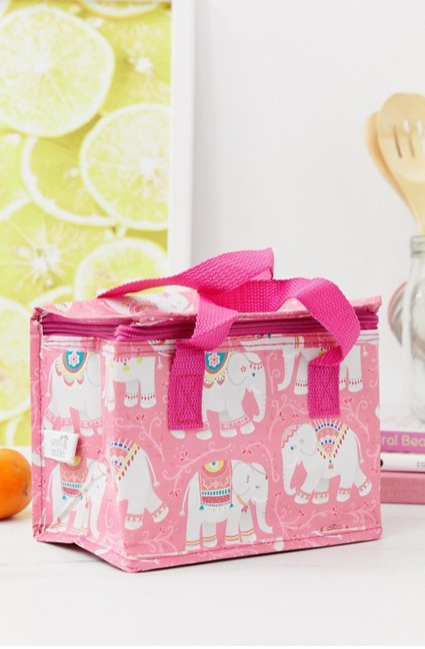 This gorgeous lunch bag with elephant print helps carry your precious cargo! 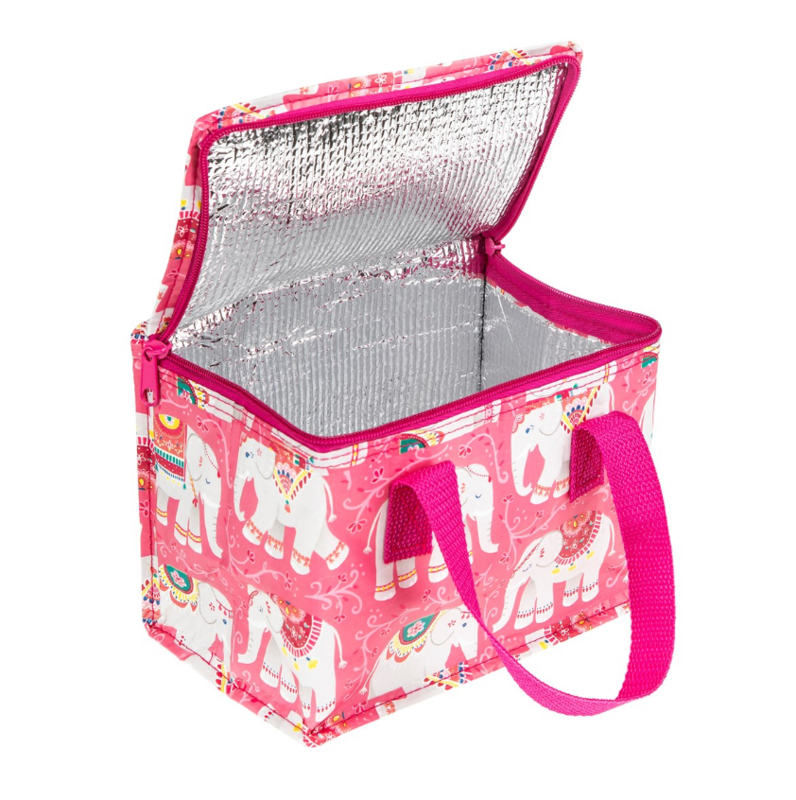 Complete with carry handles and a zip fastening. 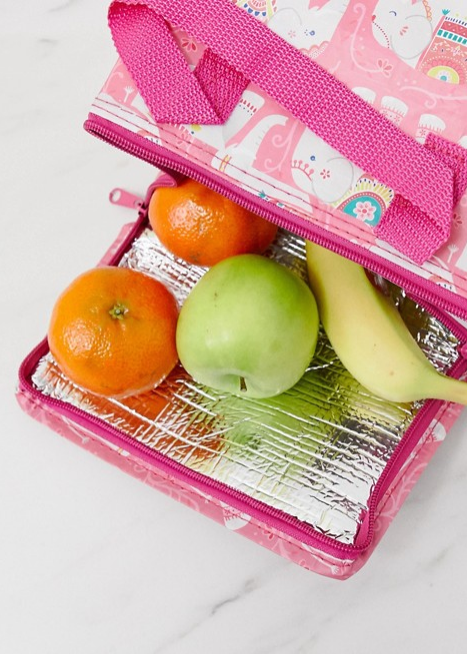 The aluminium insulation keeps your snacks cool and fresh. H: 13cm/5" W: 21cm/8" D: 15cm/6"